Perhaps it's fitting that BC’s newest Road Cycling Champions – Kamloops' Jenny Lehmann and Surrey’s Jacob Schwingboth – were today crowned almost a week after Ryder Hesjedal’s historic win on his stomping grounds at the 2012 Accent Inns BC Road Cycling Championships in Metchosin. Trek Red Truck’s Lehmann finished in a sprint on the 80-km grueling, windy hill route, ahead of Victoria’s Megan Rathwell (Russ Hay’s / Accent Inns) and last night’s Specialized / Russ Hay’s Time trial winner Kristine Brynjolfson (Trek Red Truck). Most of the women’s pack kept together for the majority of the race, finishing in 2 hours, 32 minutes and 58 seconds. Schwingboth and the top lead eight riders broke away early in the 120-km men’s race, but he held on for a sprint at the end, ahead of Specialized / Russ Hay’s time trial winner Rob Britton (Team H&R Block) and Tim Abercrombie. The top five sprinted for a 3:08:43 finish. 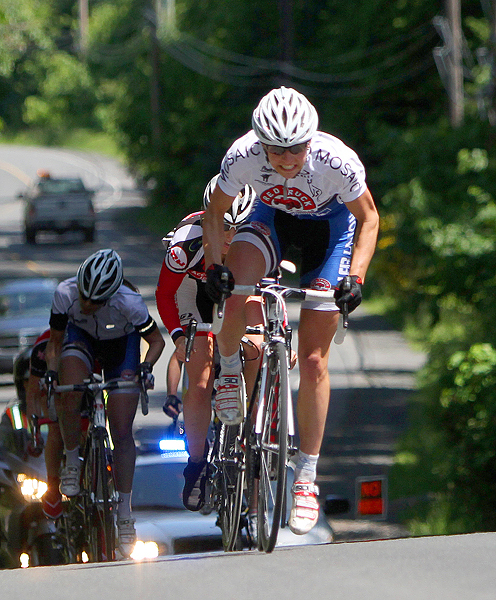 Both Schwingboth and Lehmann hope to be BC’s and Canada’s next generation of cycling stars. 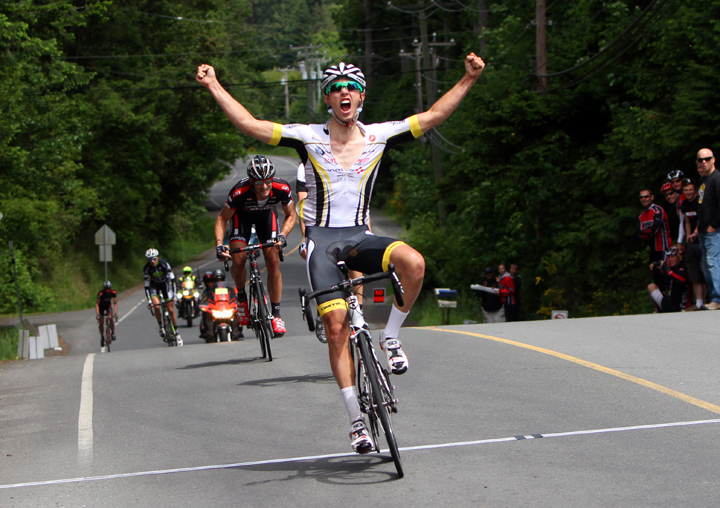 “I certainly am aiming for the 2016 Olympics and to turn pro,” said Schwingboth, after being crowned B.C.’s best. In the junior races, Victoria’s Joel Taylor won the 80-km junior men’s race in 2:04:14 while Victori’a Sophie DeBoever won the 40-km junior women’s race in 1:22:45. Tim Hortons Timbit Challenge – for kids aged 5 to 10; free event, but limited to first pre-registered 150 participants.